Is a strike looming for Alberta's Real Canadian Superstore and Liqourstore workers? Strike votes were held in Calgary and Edmonton last week, with 97 per cent of secret ballots voting in favour to hit the picket line, reports the Calgary Herald. CBC reports contract negotiations between the United Food and Commercial Workers Union Local 401 and Loblaw stalled earlier this summer. 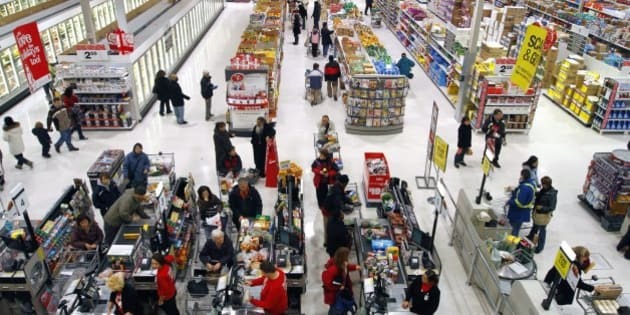 The union claims Loblaw, Superstore's parent company, has been cutting staff hours to save money on wages. "If you go into a Superstore, it's very hard to find a unionized member on the floor to assist you. And, you know, they're over worked, they're over stressed, the company is demanding more and more with less time and the workers have just had enough of it,” union president Doug O'Halloran told CBC. Christine McMeckan, a communications representative with the union, told HQGrandePrairie.com Superstore's Grande Prairie staff have also had concerns with food safety and job hours. "They just spent 12.4 billion dollars to buy the Shoppers Drug Mart chain. And what we are very concerned about is that they are trying to subsidize that and other expansion business on the backs of their workers. They are slashing hours and not giving people enough time to do the work," she explained. McMeckan also said the lack of staff hours has led to less stock on the shelves and, in some cases, outdated food. According to the Herald, strike votes in Medicine Hat, Lethbridge, Red Deer, Camrose, Lloydminster, Fort McMurray and Grande Prairie will happen over coming days.